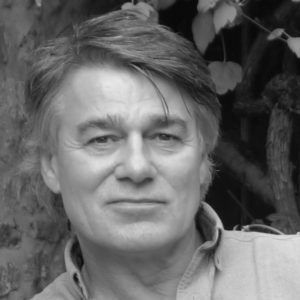 David Whyte is poet, writer and speaker. He has worked with many organisations, offering a unique perspective on today’s challenges in the workplace and society. For over 25 years, he has focused on the conversational nature of working and living together, becoming a sought-after speaker in organisations, where working together is based on human relationships, sustained through holding necessary and courageous conversations. In 2010, David initiated Invitas, Institute for Conversational Leadership, an international group, providing organisational & cultural development programs, retreats and services teaching the artistry of conversational leadership. Crossing the Unknown Sea: Work as a Pilgrimage of Identity. The Three Marriages: Reimagining Work, Self and Relationship. Consolations, The Solace, Nourishment and Underlying Meaning of Everyday Words. His eight books of poetry include Pilgrim, the House of Belonging, and River Flow. More than 20 audio recordings of readings and session recordings. Check David’s website and his engaging Facebook page. Go to Material for video and audio samples of his work.